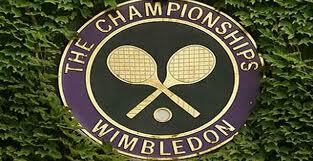 In back to back days at Wimbledon, a tennis legend who was thought to be over-the-hill proved their critics wrong. 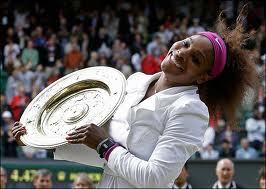 Yesterday, the 30-year-old Serena Williams defeated Agnieszka Radwanska in a tight three set match. Then today, the great Roger Federer took care of hometown favorite Andy Murray in four sets, also at the age of 30. These two players have been dominating their respective opponents for the past decade at a record pace, and I find it unbelievably fitting that they were able to show their prowess once again as the top players in the world in the same tournament. Roger, over and out with 7! 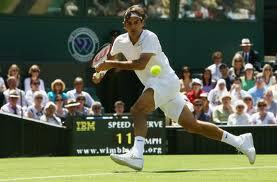 Federer’s victory today was his 7th overall Wimbledon win, tying Pete Sampras for the most all time. Federer also won his 17th Grand Slam title overall, building on the world record that he already owns. Federer captured his first slam title since 2010, which was an Australian Open victory also over Murray . In the past few years, it had been assumed the Novak Djokovic and Rafael Nadal had moved past the legendary Swiss. However, this tournament has served as a reminder to all that Roger Federer is the best ever and if he’s playing, it is never wise to assume he doesn’t have a chance to win. No Murray Christmas for England. I thought Djokovic would win the tournament as I predicted he would beat Federer in their semi final matchup. Roger got the best of the younger Novak, and as Murray found out today, even though Federer isn’t quite at athletic as he used to be, he is by far the smartest player on the planet. In today’s match, Murray jumped out to take the first set and had Federer on the ropes in the second as well. However, Roger never panicked, battled every point as he has always done in his career and fought to take control back from the Brit. I don’t think it is questionable at this point if Roger Federer is the greatest men’s tennis player of all time. We need to all appreciate his greatness because we may never see another player dominate in the fashion he has for the past decade. Finally! The matching platter for Serena’s 4-place settings. If you had to pick a player on the woman’s side who has most resembled Federer’s career, Serena Williams would be the obvious choice. She has been by far the most dominating player in the past ten years and the only woman who can even rival her is in her own family, Venus. Though Serena’s numbers are a little bit short of Federer’s accomplishments, her win yesterday gave her 5 Wimbledon Championships and 14 Grand Slam titles overall. The only two women to have more Wimbledon’s than Serena are Martina Navratilova and Chris Evert, the two women who are believed by all to be the gold standard of women’s tennis. It has been well documented that Serena Williams career was in jeopardy due to a number of injuries and medical conditions. However, she has battled back to the point that there is absolutely no woman on the planet who could play on the level she played the last week. Serena Will-I-am one of the best! Serena dominated the first set against Agnieszka Radwanska and then appeared to get a little fatigued. Radwanska played great in the second set and had Serena really frustrated as the more powerful Williams was unable to end points as quickly as she had in the first. Radwanska forced a third and deciding set, which would prove to be the end of the road. Serena pushed her game to another level, totally overpowering Radwanska. As a spectator, there were times I felt bad for the Pole because as good as she was, when Serena was playing to her utmost capability, there was not a damn thing that Radwanska could do. Doubles match of the century. PLEASE HAVE CHILDREN so we can see what a monster tennis player can do in 2032! For all the tennis experts who have written both Roger Federer and Serena Williams off, it is now time to eat your words. WIth his victory, Roger Federer jumped into the #1 spot he has been in for so many days in the past. Serena Williams showed that she is going to be a force for the next few years to come, as she has regained all her strength and may be as good as ever based on her massacre of the field this past tournament. Both players now have their sites on the Olympics and the U.S. Open and how could anybody bet against them heading into either? I picked Serena Williams and Novak Djokovic to win Wimbledon so I was half right, but going into the next tournament I will reassess my predictions. Serena and Roger have shown the tennis world that 30 is absolutely the new 20, and these two greats are not close to done padding their amazing resumes. This entry was posted on July 8, 2012 by NY Bobby. It was filed under Tennis, Wimbledon and was tagged with Andy Murray, Grand Slam Titles, Roger Federer, Serena Williams, Wimbledon Championships.